For investors seeking both sustainability and financial objectives. For investors seeking to achieve both sustainability and financial objectives, green bonds have emerged as an important bridge to the UN Sustainable Development Goals (SDGs). The SDGs represent a globally agreed upon framework that can help investors understand and measure how their portfolios are contributing to addressing critical global sustainability issues. 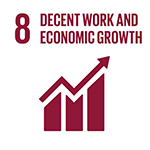 An overarching principle of the SDGs is to provide a viable model for economic growth that does not come at the expense of certain societies or the environment. 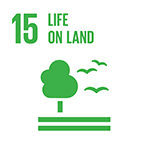 The SDGs comprise 17 broad, complex, and interconnected environmental and social goals, with detailed targets representing a global consensus on sustainable development priorities through 2030. The SDGs have gained widespread support across a broad constituency, including corporations, international development organizations, and governments. Asset managers and asset owners are increasingly looking to align investment processes with these goals, as interest in and demand for responsible investing continues to grow. The SDGs can provide a framework to mobilize the trillions of dollars needed to achieve these goals, and also to identify opportunities for social, environmental, and financial returns. The cost of achieving the SDGs is enormous, but so are the potential economic benefits. In addition, the costs of failure have the potential for, in our opinion, large economic consequences. Investors can use the SDGs in several ways, depending on their objectives. From a purely financial perspective, the SDGs can help investors understand the sustainability issues that can create material risks within a portfolio. Similarly, they can help identify investments that can benefit from offering solutions to sustainability challenges. At a more macro level, the SDGs can help identify systemic risks as well as emerging long-term megatrends that may drive financial returns in the future. For investors looking to measure both societal and financial returns, the SDGs offer a framework to measure impact. Providing a common language among investors and companies, the SDGs also serve as a platform for engagement on sustainability issues. Green bonds offer a link to the SDGs for investors seeking both sustainability and financial objectives. Their innovation is in their simplicity, given that they are structurally no different from traditional bonds. The additional disclosure and transparency of green bonds on the use of proceeds help connect investors with assets that are expected to deliver a positive sustainability impact. Below, we highlight how green bonds align with specific SDG targets, and the potential economic impact that achieving these goals may have. All bonds mentioned are included in the S&P Green Bond Select Index, indicating that they have been designated as “green” by the Climate Bonds Initiative (CBI). This means that the projects financed align with CBI’s taxonomy, which is based on achieving a dramatic and rapid reduction in greenhouse gas emissions to mitigate climate change. The SDGs cannot be achieved in isolation and achieving one can have multiple knock-on impacts. Identifying where green bonds may provide a direct pathway towards the achievement of specific SDG targets provides a starting point towards mobilizing the capital needed to finance these goals, unlocking economic potential and growth. Climate change is considered by many to be the fundamental challenge of the 21st century. The consequences of failing to achieve SDG 13 are potentially catastrophic and jeopardizes all other goals. Sustainable agriculture, access to clean water, and zero poverty are difficult to envision in a world that fails to adequately address this challenge. 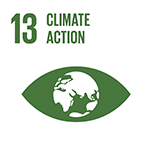 Specific targets related to SDG 13 include integration of climate into national policies and adapting to climate-related hazards. The vast majority of green bonds finance projects such as renewable energy, green buildings, and sustainable infrastructure, and a small percentage go towards adaptation projects. France’s green bond program provides an example of a green bond aligned with SDG 13. In addition to projects related to climate change adaptation, the bonds finance mitigation-related expenditures such as tax credits and interest free loans for green buildings, tax credits for sustainable agriculture, and funding for sustainable transport and clean energy technology research and development. 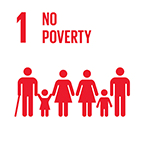 With 10% of the global population in extreme poverty1, building more resilient infrastructure, sustainable land use, and ecological protection can help increase the resilience of vulnerable communities to extreme climate-related events, which is a target of SDG 1. Green bonds can therefore play a role in achieving this goal, which would significantly contribute towards other SDGs and unlock the economic potential of these populations. One of African Development Bank’s strategic goals is to achieve sustainable growth that leads to a deep reduction in poverty, and the bank uses green bonds as a way to fund its work. The bank notes that compared to other regions, Africa has the highest proportion of its population at “extreme” risk to climate change. Projects funded in 2016 include a solar project in Mali, irrigation infrastructure in Morocco, and traffic reduction and poverty alleviation projects in Tanzania. Over the past 10 years, the agriculture sector has absorbed 25% of the total damage and losses caused by droughts, floods, and other extreme climate events2, emphasizing the need for sustainable agriculture solutions. Green bonds can support efforts to achieve agricultural productivity and sustainable food production targets. With private sector commercial potential in food and agriculture estimated to be worth $2.3 trillion annually and to generate 80 million jobs3, the investment opportunity is substantial. The International Bank for Reconstruction and Development, part of the World Bank Group, uses green bonds to fund a variety of initiatives in emerging markets including projects related to agriculture and land use. Project examples include pasture-based livestock management in Armenia, a reduction in water usage for rice, wheat, and maize farms in China, and an agricultural innovation program in Peru. Beijing Capital’s $500 million green bond provides an example of a bond aligned with this goal, as a portion of its proceeds will be used to control air pollution in China. 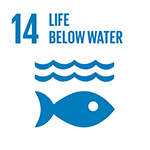 This goal includes five separate targets related to improved water quality, pollution reduction, water usage efficiency, water management, and protection of water-related ecosystems. 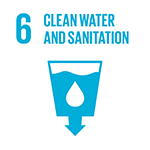 Water is vital for producing food and energy, and therefore for the livelihoods of people and economic growth. Several water-related green bonds have been issued. For example, NWB Bank’s green bonds finance projects related to flood defense, water treatment, and transport and cleaning of wastewater. Eligible projects for Anglian Water’s green bond are related to water management and water recycling. Examples include Southern Power, whose green bonds have financed several large-scale solar and wind projects in multiple states, and EDF, whose green bonds have financed hydro and wind projects in France, the U.S., and Canada. The SDGs emphasize not only economic growth, but also quality of growth. That includes the creation of quality jobs. 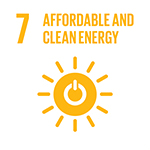 SDG 8 includes a target on decoupling economic growth from environmental degradation, including job creation in fields such as clean energy and building new green infrastructure. KfW, a German development bank that is one of the world’s largest financiers of renewable energy, estimates that 22 jobs are created or secured for every EUR 1 million invested (approximately $1.2 million) in their green bonds. 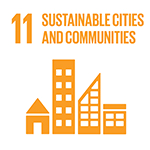 Adequate infrastructure has numerous positive effects on economic growth and in achieving other SDGs. 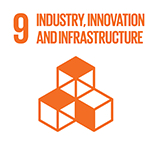 Targets for SDG 9 relate to developing resilient infrastructure that supports development, upgrading, and retrofitting existing infrastructure to improve sustainability, as well as enhancing research and encouraging innovation. Transport for London and MTR have issued green bonds to help finance new low-carbon transit projects in Greater London and Hong Kong, respectively. At a country level, the French sovereign green bond included funding for the “City of Tomorrow,” with nearly 500 active projects in development. At a more local level, Massachusetts Institute of Technology’s green bond financed five LEED7 certified buildings. Green bonds can contribute towards targets related to marine pollution reduction, protecting marine ecosystems, and sustainable fisheries. Healthy oceans balance the effects of climate change and have an economic impact as well. DC Water’s green bonds focus on projects to improve the water quality of rivers and waterways, enhance flood relief and mitigation protection, and remove harmful contaminants and pollutants from waterways, which flow into the Atlantic Ocean. Sovereign green bonds issued by France and Poland have financed conservation and restoration projects in those countries. The Commonwealth of Massachusetts’ green bond has funded open space protection and environmental remediation projects in the state, as well as restoration and management of natural habitats and wetlands. The overall cost to achieve the SDGs is difficult to fathom, estimated at nearly $6 trillion per year.9 Financing needs remain massive even when isolating specific goals. For example, SDG 13 (Climate Action) is estimated to require $300 billion per year of additional investment to meet sustainability goals, in addition to the nearly $3 trillion base case that reflects current energy policies.10 Governments alone cannot finance these goals, and private capital is needed. While not all of the SDGs are naturally attractive to private capital seeking an investment return, many are. Long-dated, income-generating projects are well suited for financing through loans or green bonds. The growth of the green bond market reflects this opportunity, allowing investors to potentially achieve both sustainability and investment objectives, without having to compromise on either. 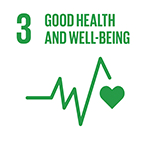 The global framework provided by the SDGs allows investors to not only understand sustainability issues, but to also build more sustainable portfolios and identify the risks and opportunities that will emerge as the world grapples with the most challenging issues facing humanity. Green bonds will play a key part in addressing these challenges. To learn more about green bonds, request our whitepaper: “Income with Impact: A Guide to Green Bonds”. Investors can gain exposure to green bonds through VanEck Vectors® Green Bond ETF (GRNB®). 2 FAO, IFAD and WFP. 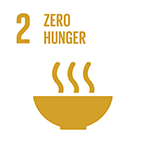 2015: Achieving Zero Hunger: the critical role of investments in social protection and agriculture. Rome, FAO. 5 Climate Bonds Initiative, 2018. Briefing: Green bonds as a bridge to the SDGs. The indices listed are unmanaged indices and do not reflect the payment of transaction costs, advisory fees, or expenses that are associated with an investment in any underlying exchange-traded funds. Certain indices may take into account withholding taxes. Index performance is not illustrative of fund performance. Indices are not securities in which an investment can be made.